If you are looking for a last minute dessert that is a sure crowd pleaser -- cranberry cake will fit perfectly in your Thanksgiving feast. This cake is so delicious that I even like the edges to gnaw on. The almond extract in the cake complements the cranberries so well and the cake is sweet enough to tame the tartness of the cranberries. I was given this cake as a "welcome to the area," when we first moved here to our present home. It is a Taste of Home Recipe developed by Marilyn Paradis of Woodburn, Oregon. Thanks Marilyn! Everyone who tries it, loves it! 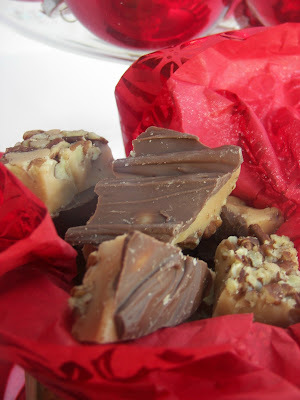 Before I give you the recipe, I want to remind and encourage you to join in my "It's Your Wonderful Life" linky party. Click HERE for more details. There weill be a few giftie giveaways. I really hope you try this recipe. It is one of my favorites. There is something special about the texture of this cake -- it's almost like a brownie texture and consistency. In a large bowl, beat eggs and sugar until slightly thickened and lemon-colored, about 5 minutes -- make sure you do this! Add butter and extract; beat 2 minutes. Gradually stir in flour just until combined. Stir in cranberries and pecans. Spread in a greased 13-in. x 9-in. baking dish. Bake at 350° for 45-50 minutes or until a toothpick inserted near the center comes out clean. Serve with whipped cream if desired. Yield: 16-20 servings. Today will most likely be my last Thanksgiving Challenge for the season. I am thankful for those of you who "played along." Today I am especially thankful for my parents who gave me life. My mother passed away over 20 years ago and my father passed over over 15 years ago. 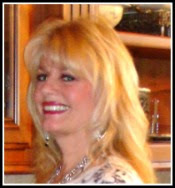 I wish that they could have got to know my children and that we could have spent many more years together than we did. Nevertheless, I am thankful for them and for the many sacrifices that they made to raise me. I will never grow tired of cranberries and this looks like a wonderful recipe! Yup this sounds divine! I think I'll pick me up some cranberries tonite! Cranberries are at the top of my list! 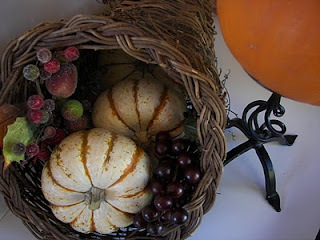 Have a wonderful Thanksgiving. This looks so good and my husband would love it. He loves recipes with fruit in them. I've saved it...thank you! I love cranberry's, this looks so go. I am going to bake it tonight. Thanks for sharing . Oh my goodness, I HAVE to try this for a Christmas dessert. It looks luscious. My mouth is watering already. WOW! I lost my mom three years ago. Holidays are so hard. She never saw my grandchildren and I am so sad about that. I miss her so much. I am thankful I had my best friend while she was here. I love those sugar-coated cranberries in your picture, Joni! What a wonderful recipe> I know I will love it. After looking at these photos and reading the ingredient list, I can't pass them up! Gorgeous! Thanks for another great recipe! This recipe sounds very easy and the results look fantastic. Great way to use cranberries. Happy Thanksgiving Joni! You and your family have a great day. This cake looks delicious. Thanks for sharing. This sounds wonderful - and such a great dessert for the holiday season! I've bookmarked it to try. Thank you for sharing it. 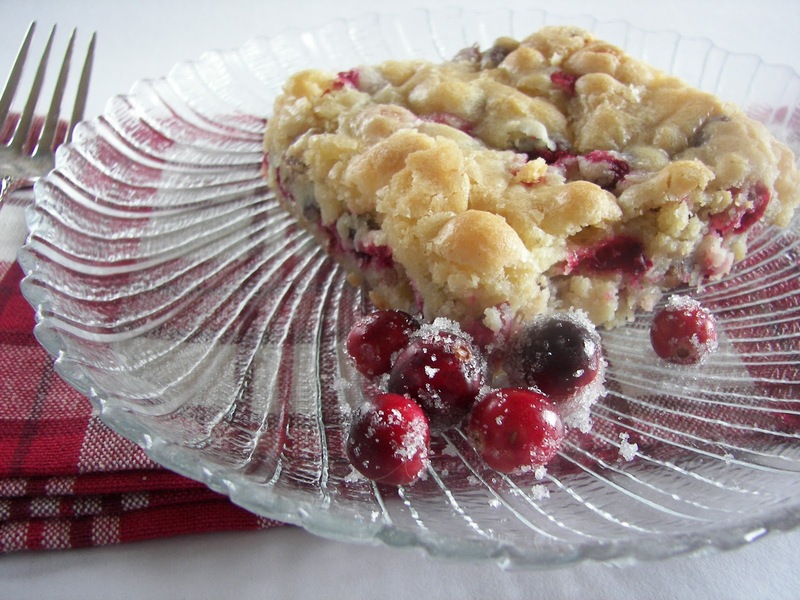 Another great sounding recipe for using cranberries. Thanks for this, the cake looks delicious. 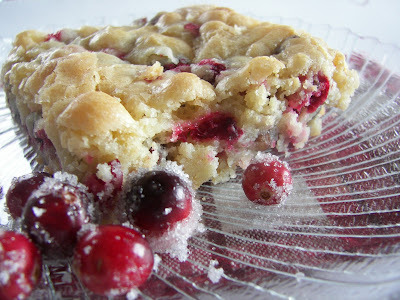 Looks like a good recipe -- I love cranberry anything! I just love cranberries!! This looks delicious and super festive - I might have to look into making it for my Christmas party! Cranberries are so pretty and delicious and your cake is really yummy looking. Hope you've had a wonderful holiday and thanks for sharing your blessings all month. I haven't participated, my life is crazy right now, but your feelings have touched my heart and caused me to reflect often. I marked this to make on Monday for baking day. Looks fantastic. Will be linking up with your Wonderful Life linky! Looking forward to all the wonderful ideas!